Discussion in 'Online Casino Promotions' started by Marina, Nov 11, 2018. One of our favorite online casinos, Rizk Casino is upping the ante when it comes to rewards. 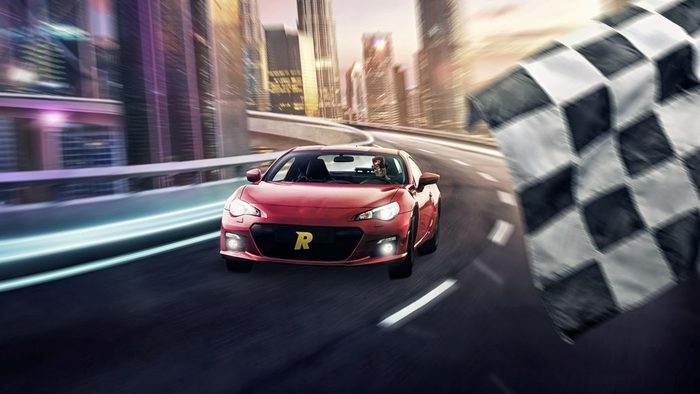 Now you are invited to join in the new Rizk Races and grab part of the EUR 1.8 million in wager free rewards that the site is offering to all players. If you are new to Rizk Casino, then you will soon learn that the Rizk Races are a very important part of the action at this online gaming site. It also happens to be one of the most popular activities for players at this site. But Rizk Casino also realizes that it is always a good idea to revamp schedules, increase payouts and rewards, and introduce new races. In fact, Rizk Casino is so set on providing a sweeping new change that it has announced an increase of wager free payouts by more than a whopping 30% - that means that over EUR 1.8 million will be handed out to players annually! So what can players at Rizk Casino look forward to in terms of changes? Start off the day with a Breakfast Race that will take place at 9:00 CET, with a top prize of EUR 120. Then head off for your Lunch Race at 12:00 CET, again with a top prize of EUR 120. But if you thought that two races a day were all you get at Rizk Casino, think again! You’ll be able to wrap up the day with a nightly Bumper Hitch ‘n Race at 00:00 CET. Top prize? You guessed it – EUR 120! Monday – The race begins at 21:00 CET and features a recently released slot game. Wednesday – Get over the mid-week bump with a race that begins at 21:00 CET and is played on the site’s Game of the Week with Double Speed. Thursday and Friday – Each of these days have races at 20:00 CET with supercharged prize pools. The top prize in these races is a generous EUR 1,500. It is important to note that besides these new additions, the regular Rizk Races will still be running 24 hours a day. All you need to do is press the JOIN button in your Rizk Casino account on any race before it begins. You will be rewarded 10 points for every winning spin, 30 points for 3 winning spins in a row, 40 points for 3 losses in a row and 300 points for hitting a big win (10 x your bet).